KEKA is an employee experience platform. 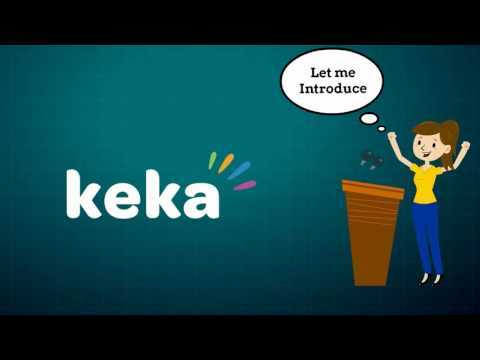 The Keka solution is one of the HR software & Payroll software that is employee centric. Unlike traditional HR systems, Keka is focused on user experience and simplifying complex workflows. The Keka solution help organizations manage their human resources in an effective and efficient manner as Keka brings together all the functions on a single platform and enables the user with various self-service tools which eliminates the manual processes and automates most of them like: employee onboarding and documentation, payroll, leave & attendance, timesheets, etc. Keka Technologies is a software development company which offers a modern HRMS platform. The company has tried to create a technically robust HRIS solution that can automate the manual process of managing HR and payroll operation and still add a human touch to it. Keka Payroll is so easy and pain free that you'll love payroll processing and save tons of time. It lets you define a fixed term or a fixed EMI as per the repayment ability of the employee. An employee can easily group expense receipts into a batch and make an expense claim. He can then track status of his submission all the way till reimbursement. Keka is built to be mobile centric. 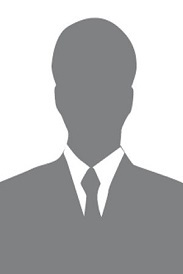 People directory, leave, attendance all available on the go! It is the most convenient and easy to use Time tracking software to track your employee time on your internal and external projects. Entering time entries just takes three steps - Select your project (organized by client), select the task, and enter your time. Once your time is entered, you can enter comments, use timesheet reporting to get budget feedback or dig deeper into projects. Q. How secure is my data in Keka? We at Keka take security and privacy of our customer data seriously and have highest grade security measures in place compared to rest of the industry. All sensitive information including payroll financials are encrypted with private keys that are unique to your organization! This means, even in the catastrophic event of network breach, the intruder has still to crack multi-level encrypted unique private key to your organization which is stored in a different network boundary altogether. This is above and beyond the industry grade 256-bit encryption. Q. Do Keka have discounts for half yearly & yearly plans? Keka have discounts for half yearly & yearly plans. Please contact us for further details and volume pricing. Q. Who has access to Keka payroll and other sensitive data? If you lock Keka out, not even our employees have access to any of your payroll or personnel information. Unless explicitly granted access on a need-to-know basis by customer using a secure switch, our support personnel cannot view any of your data. This is unique and Keka is the only system to have such high levels of privacy controls in place. Q. Is there a setup fees in Keka? Keka is a highly customizable platform and yet we have made the entire customization and setup process so easy that you can do it all by yourself. However, most customers find our guided onboarding process a time saving and learning experience. Our guided configuration of Payroll, import of employee information and past month salary information, costs a nominal setup fee typically equivalent to 2 times the monthly fee. Integration of bio-metric device for attendance tracking is also covered within the setup fee. We are using been keka from past 5 months for payroll, attendance, time, and leave tracking purpose. This product increased our productivity and over all efficiency. Their support team helps you whenever you need them. Love the way their software resolve lot of our pen and paper work and main delight was working with their support team, They had helped me a lot while migrating to cloud payroll.